When it comes to selecting a rainwater tank to purchase you’ll need to choose a particular model type. If you have open spaces on your property, then maybe a large round water tank will be fine. On the other hand, if you don’t have much space then a slimline tank or two joined together might work better. You can even buy easy-to-install underground poly tanks. 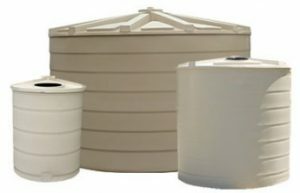 This article will cover a range of tanks that National Poly Industries can supply you with. 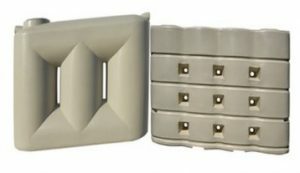 Our range is quite diverse in both model types and sizes. If you are not quite sure then we would be happy to look at your house plans and make some recommendations. Round tank styles are ribbed, which provide greater strength and add a bit of style. The only exception is with our solid smooth profile 1,000L round tank. 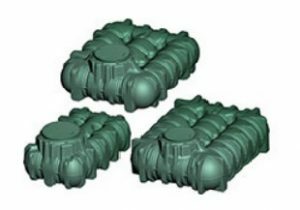 Our round poly tanks are approved to Australian Standards AS/NZS 4766which is a certifiable standard that ensures your tank is quality made, and will be able to store water and chemicals under Earth’s normal atmospheric conditions. use and under windows. If placing them close to your property boundary, then you will need to check with your local council to ensure space requirements between your water tank and property boundary are met. Depending upon where you are located, we provide two different styles of slimline tanks at 3,000L (660 gallon) and 5,000L (660 gallon) capacities. One style is a smooth-profile with rounded columns, the other is ribbed with multiple holes. These provide slimline tanks with their strength and structural integrity. Our underground water tanks are compact and shallow in design making excavation and installation easier than other underground tanks on the market. Manufactured in our state of the art facilities, our underground tank represents the latest in German engineering and comes backed by a 15 year warranty. A fully integrated self-cleaning filter is available, as well as a driveway manhole option to be used if installed in light traffic areas (max weight of 3.5 tonnes). A detailed list of specifications for each water tank is available with dimensions and weights for each product. If you’d like more information about our poly tank range, our customer care representatives will be happy to help on 1800 758 709.